There is no worse feeling than ascending the pulpit unsure of the message in hand. Preaching is the ultimate act of public self-disclosure. Too little study makes even the most veteran preacher feel uncertain of his grasp of the text, unsure of himself, and hesitant about the sermon he’s going to deliver. That’s why it is impossible to preach without a settled assurance that you’ve studied the text, have rightly interpreted it, and are standing before God’s people ready to explain and apply it. Sufficient preparation is indispensable to faithful preaching. Insufficient preparation makes mortals of us all. While this may seem to contradict the prior point, it does not at all. To be clear, the problem to which I am referring is not too much study, but too many notes. Sermon notes are not an end; they are a means to an end: a faithful sermon. Have enough notes to ensure you faithfully explain and apply the text. While it is better to err on the side of having too many notes over too few, there is a point when sermon notes provide a diminishing return. 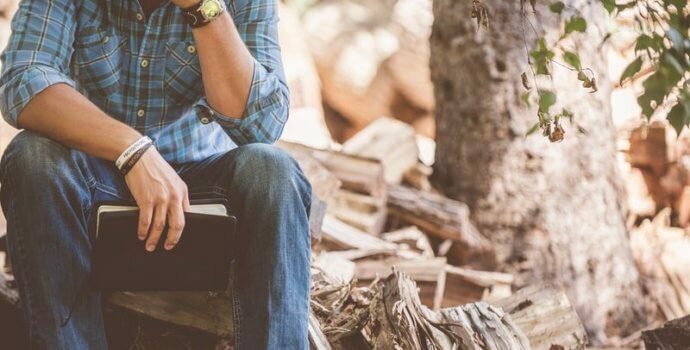 Bumbling through 20 pages of notes often confuses both the preacher and the listener, compromises personal connection with the congregation, and makes the sermon delivery a more clinical, emotionless exercise. Strive for sermons from the heart, not the hand. It is impossible to deliver a compelling message if the preacher lacks confidence. Yet, that confidence must be theologically grounded, not personally derived. Our confidence must rest in the power of the Word and of the Spirit, and a from settled assurance that God has ordained preaching as his means to strengthen the flock and evangelize the lost. Our confidence must transcend our own gifting, experience, or even time spent in study. To be sure, preparation, personal holiness, pulpit experience, and a host of other factors might enhance one’s confidence, but they cannot replace the confidence we know as we are convinced of the power of the Word and Spirit. Nothing hinders a sermon like confusion in the pulpit. Whether insufficient study or just an inarticulate presentation, a lack of clarity will stymie most any sermon. Combat ambiguity at every point. Move from the abstract to the concrete, from the “we” to the “you,” from the passive tense to the active, from the general to the specific. Don’t settle for “The Bible says,” but instead, give book, chapter, and verse references. Don’t be inexact with your words, uncertain in your explanation, or generic in your application. As Howard Hendricks once observed, “A mist in the pulpit is a fog in the pew.” Our people need us to speak a clear, understandable, and authoritative word. An argument with your wife, an outburst with a child, or a simmering frustration with a church member all can quench the Spirit and undermine the sermon itself. The accuser of the brethren loves to find fault with the pastor, especially during the preaching event. As he does, he not only attacks the preacher but, indirectly, yet profoundly, the congregation as well. Before we preach, let’s pray up—and confess up—ready anew to celebrate the grace of Christ. The preaching act is one of divine communion. We are God’s spokesperson, heralding his Word to the gathered crowd. As we do, a lot rides on the sermon. So much so, in fact, that we must strive to preach to the best of our ability week in and week out. Fellow preachers, there are a lot of reasons why we often come up short, but let’s make sure we dodge these five. HI Dr. Allen. I liked this post. I graduated from Midwestern 2 years ago this May and work as a counselor at a health clinic in Kansas City. I have on occasion brought a message to my mom’s church and even a message to my own church. Not being someone that is a full time preacher but more of a fill in, I do have a couple of questions. Do you as a pastor encourage constructive feedback from the audience? Is it difficult for those in the pulpit to receive such feedback? Also do you think it’s important that the pastor be concerned that his message will resonate with the audience? Will they “get” it? Who am I writing this message for…seminary students/professors or the average Joe? Some messages can get very difficult to follow because a speaker hasn’t considered who he is speaking to. Or is that a non-factor when a pastor prepares his message? I know some pastors, who will preach 10-20 verses for one message and if it’s not well thought out, it can get very confusing. I was totally lost by one pastor and started looking at vacation pictures from my phone. Thanks for writing this. As I have learned in my limited opportunities of bringing messages, it is a sacred task and not to be taken lightly. Failure to pray…. don’t forget that for the top of the list. I have read this blog before and wrote every point on my study white board. The night before I preach the sermon I asked those five pertinent questions. However, since then I have added two more reasons why my sermons may be a failure. 1) Lack of personal prayer, and 2) lack of personal appropriation and incorporation.